We love our business customers and would love to set up an account for you to make shopping with us more convenient and more affordable. If your corporation is in need of a supply company, or simply wants to set up a house account for your business charges, look to Laurel Ace, Standard 5 & 10, “your one-stop variety store” or Marin Ace, “San Rafael’s mom & pop hardware store”. Our pricing is competitive and our service can’t be matched. Whatever your company’s needs, whether office staples or school supplies, cleaning products, hardware, or landscaping materials, you can count on us to have them in stock, or to be able to get them for you within just a few days! 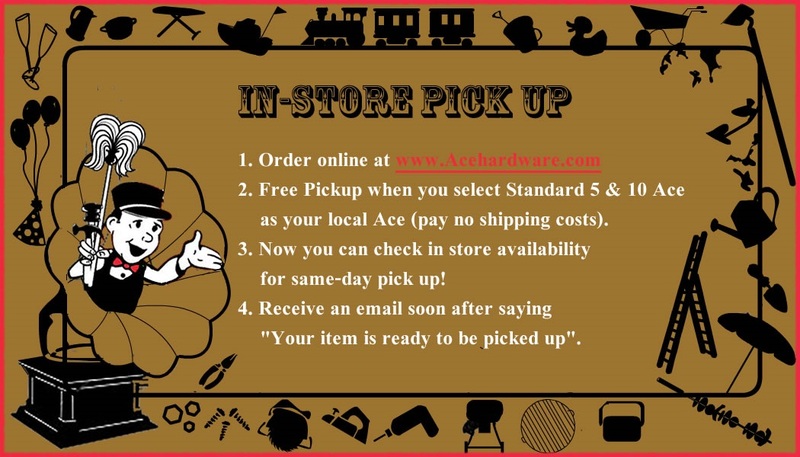 With over 25,000 items on our shelves and 250,000 available through Ace Hardware, our two stores make a perfect one-stop shop for all your supplies. Both stores offer exclusive access to TheSupplyPlace.com for our business customers. The Supply Place offers online shopping on Ace’s business-to-business website, built exclusively for our business customers, and offers volume pricing at the same–or deeper–discounts than you’ll find elsewhere. You will be notified within 2-3 business days if your application has been approved. Once you've received an account you can start the ordering process by clicking on the header, 'Catalog' to begin your search. You also have the ability to put in your item under the 'Quick Order' column on the right side of the page. If you’d like to learn more, watch a video about TheSupplyPlace.com. For a corporate account and/or access to TheSupplyPlace, please call our corporate offices in San Francisco at 415-751-5767 to set up your account for Laurel Ace, Standard 5&10 Ace and/or Marin Ace over the phone.